Vacant Property Inspections from RISK Management Security – how is this beneficial to me? There is any number of reasons why a property may remain vacant. For example, if you are renovating an existing warehouse or other property, there is a period of time where it is not fit for habitation, but needs access. Your insurance company will be very keen to have a discussion with you about what you are doing to ensure that the property remains safe, and will lay out any requirements they have. They will also advise how to manage this moving forward. They will usually ask two things. Firstly that the police and emergency services are informed of the vacant property so that they have a record of this should any incident occur. The second thing they ask for is for a Vacant Property Inspection to take place. Vacant Property Inspections allow you to satisfy the needs of your insurance company and keep your vacant property safe. Ensure a full survey is completed to identify any areas of the site that are vulnerable and what measures can be taken to reduce the risk to the site. Particular consideration in any vacant property inspection should be given to the perimeter of the site and any means of access to the site and building, both entrances and exits and fence heights, etc. Consider the immediate area in which the property is located and look at surrounding buildings and the neighbourhood. If there are clear signs of building damage, vandalism and general criminal activity you might need to consider additional measures of security. Alternatively, there may be options to eliminate the disorder from the area by other means e.g. demolition of derelict buildings. A vacant property inspection should look at the number of other vacant properties in the immediate surrounding area and security measures taken in the area. Check out the latest news from RISK Management Security Here! It is very important to remember that as the owner of a property you have a responsibility under the Occupiers Liability Act to ensure the site is safe for all persons entering the property. A regular vacant property inspection of all areas would ideally be undertaken to report any areas that may have become dangerous or present a hazard to anyone who may use the site. Conduct a thorough review of the services required and leave on only what is essential. This will always include electricity to support systems such as lighting and intruder alarms but consideration should be given to heating, air conditioning and other plants/maintenance systems as to whether they are absolutely necessary. Your M&E contractor will be able to advise of the best approach as some systems have different settings to cater for changes in building use as part of your vacant property inspection. With an empty property, it is vital that access can be gained either in an emergency or if other parties need to conduct repairs or view the building. 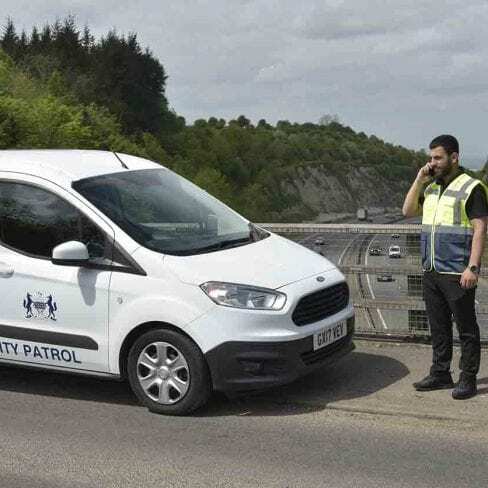 It is therefore advisable to employ a local security company, like us here at RISK Management Security, who can hold keys under BS7984 conditions and provide a response to site 24 hours a day. To dramatically reduce the risk of a building being targeted by criminals or attracting anti-social behaviour it is important to keep the area in good condition. This can be easily achieved by having a contract with a maintenance company to keep the area clean and tidy and who will ensure the general appearance of the grounds and building do not encourage abuse. The “Broken Window Theory” means that if one window is broken and is not repaired you will very quickly find that others are broken. This applies to litter and the accumulation of, graffiti and other building damage. Vacant Property Inspections will identify these faults and allow you to plan. When managing a building that is vacant be sure to prepare and be organised. Very often the building may have been occupied 24 hours a day and there may be many adjustments and checks needed to the systems and facilities to ensure they meet the requirements of insurers and offer suitable protection to the property. 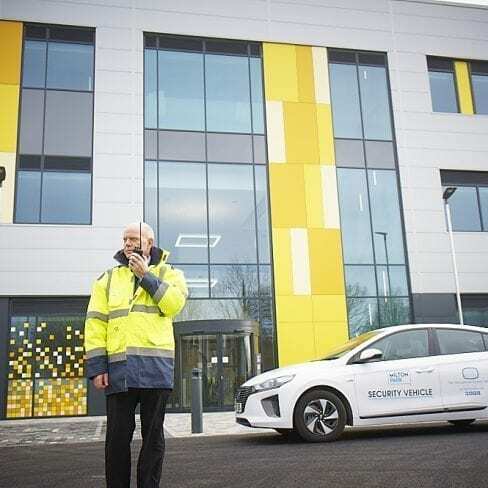 As an example to the above, we recently took over vacant property inspections for a building previously used as a corporate headquarters that had been occupied 24 hours a day by staff and security. Due to this, the alarm had never been set and required extensive work to, firstly mobilise it and secondly meet the requirements of the insurers. Risk Management Security Services have a completely hands-on approach to the security service provided and takes pride in the fact that all directors and senior management have an active role in delivering high-quality security services. Our operations team adopts a pro-active approach to each assignment maintaining good relationships with customers, security guards and vacant property inspection stakeholders.